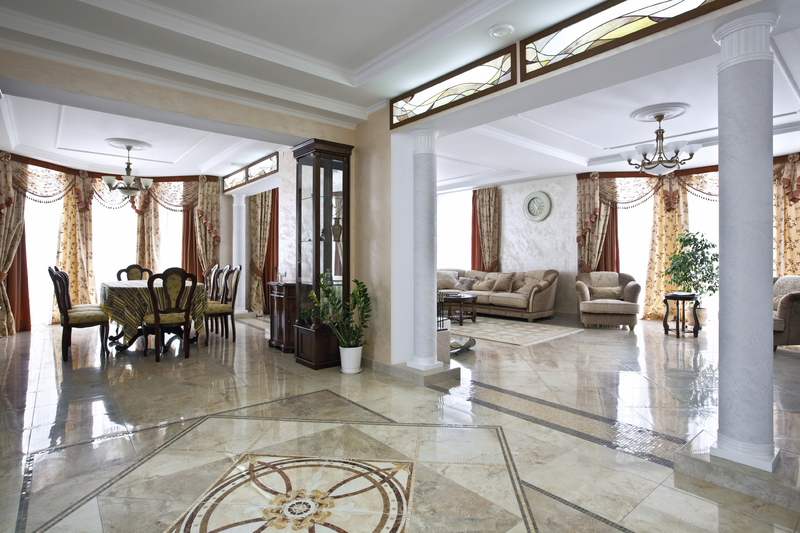 We've been working with marble for many years now and have come across many different types of Marble. The sheer beau­ty of some Mar­ble can be breath­tak­ing. From Car­rara Mar­ble to Cre­ma Marfil there are hun­dreds of dif­fer­ent types of Mar­ble to choose from. Mar­ble is meta­mor­phosed lime­stone , that is, lime­stone that has been melt­ed and allowed to reso­lid­i­fy. The term mar­ble is often used to refer to any hard, cal­cite rock that can be cut or pol­ished, includ­ing some unmeta­mor­phosed lime­stones. Cer­tain mar­bles have been val­ued since antiq­ui­ty for sculp­ture and for archi­tec­tur­al uses. The mar­bles prized for stat­u­ary are usu­al­ly quite pure (i.e., white in col­or and free from inclu­sions or marks) and reflect light soft­ly or semi­translu­cent­ly due to their prop­er­ty of allow­ing some inci­dent light to pen­e­trate to a depth of about an inch (1–2.5 cm) before reflect­ing it. Some mar­bles that show col­or­ful pat­tern­ing are used for dec­o­ra­tive archi­tec­ture. Pat­tern­ing in mar­ble aris­es from var­i­ous trace min­er­als , most often sil­i­cates (e.g., quartz, olivine , gar­net), graphite , pyrite, and organ­ic sub­stances. The mag­ma respon­si­ble for meta­mor­phos­ing the orig­i­nal lime­stone may also con­tribute impu­ri­ties. “Mar­ble.” World of Earth Sci­ence. 2003. Encyclopedia.com. 21 Jul. 2013 <http://www.encyclopedia.com>.